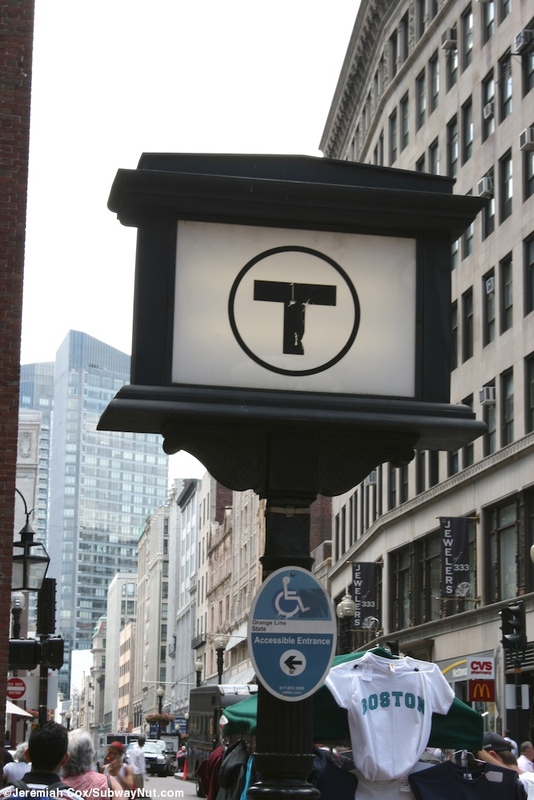 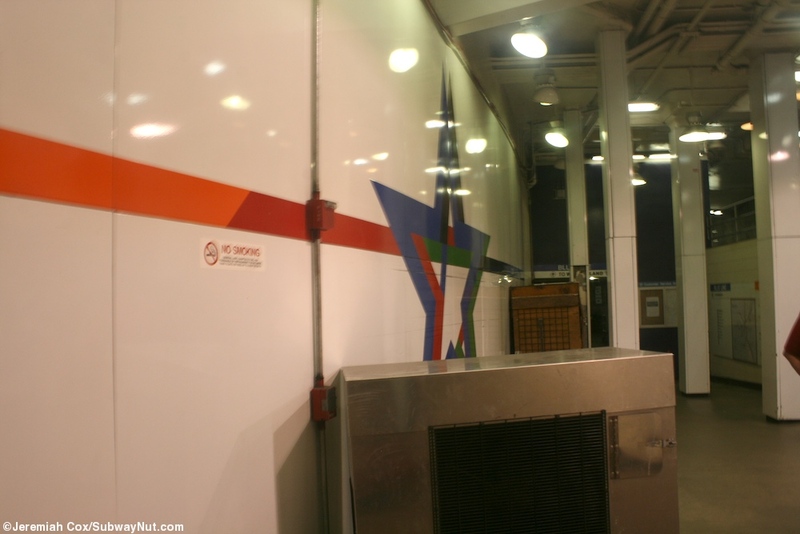 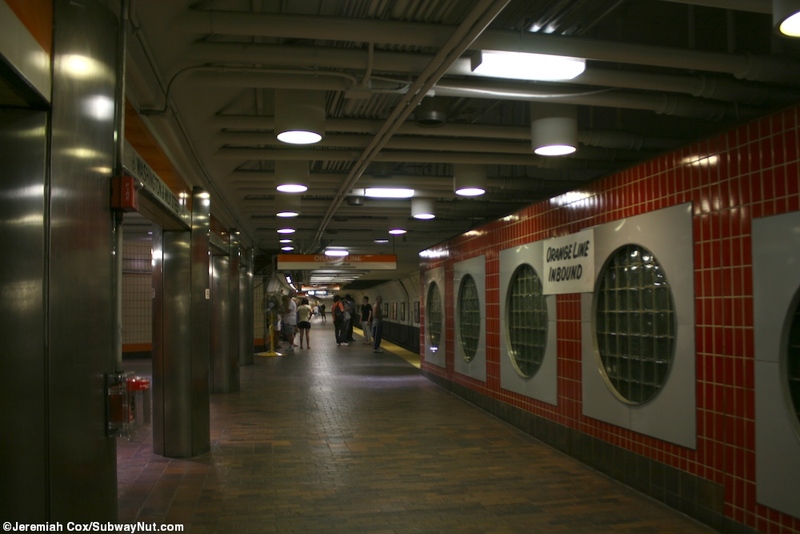 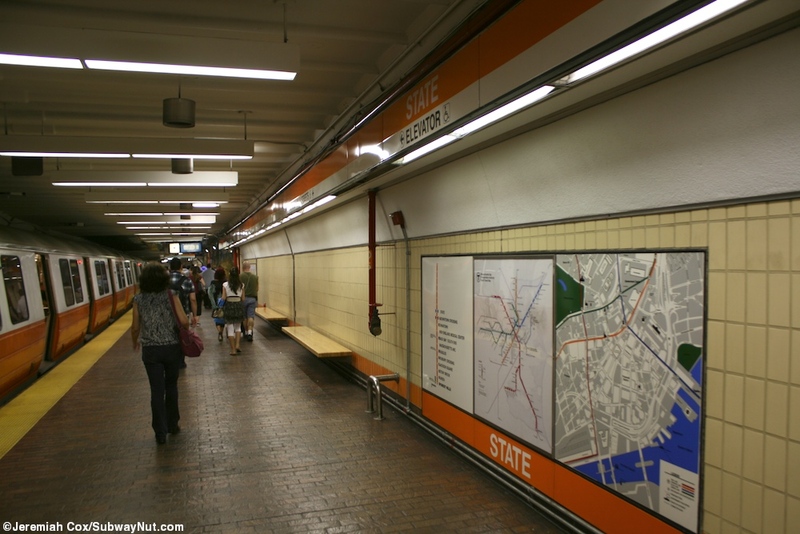 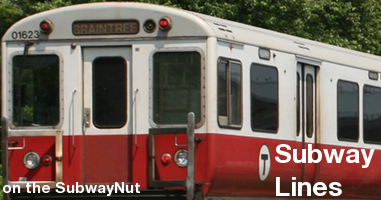 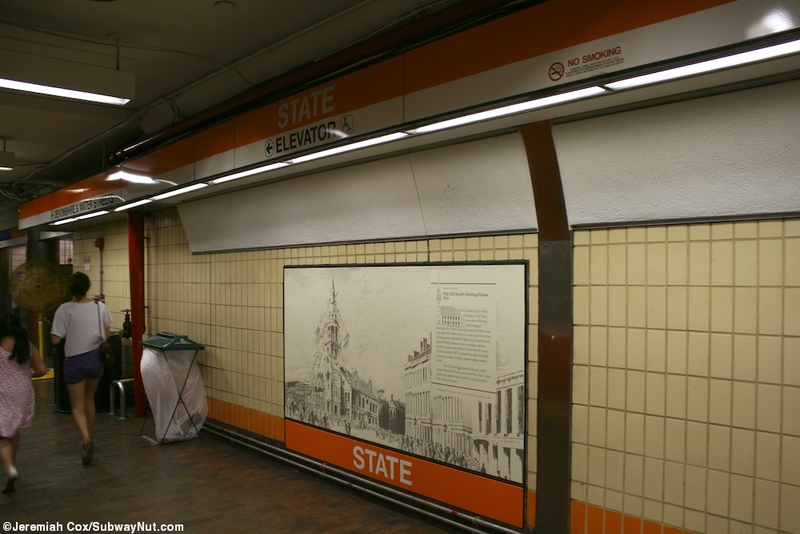 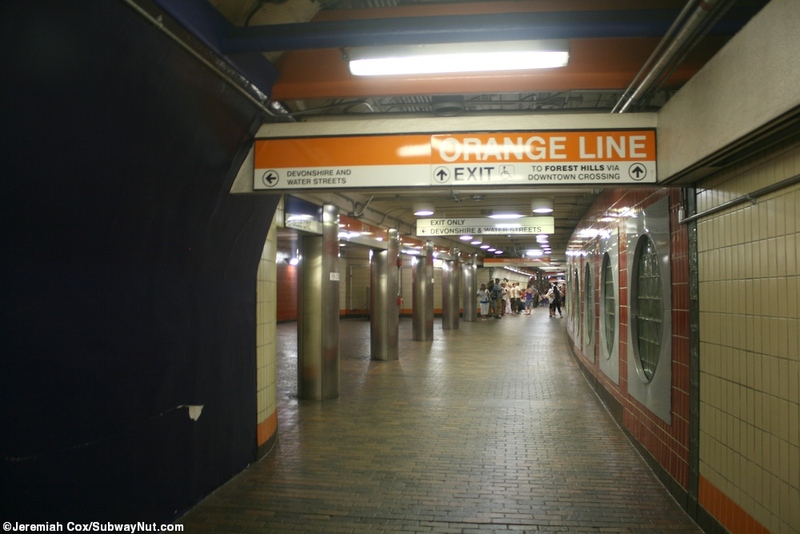 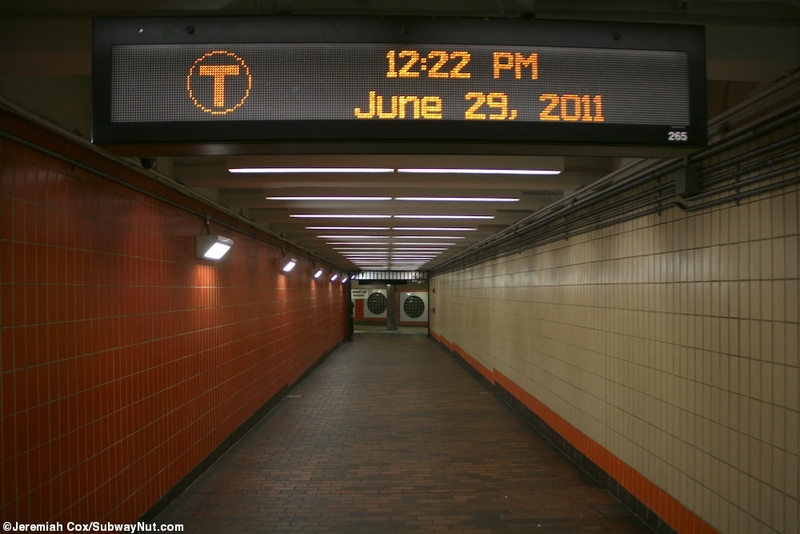 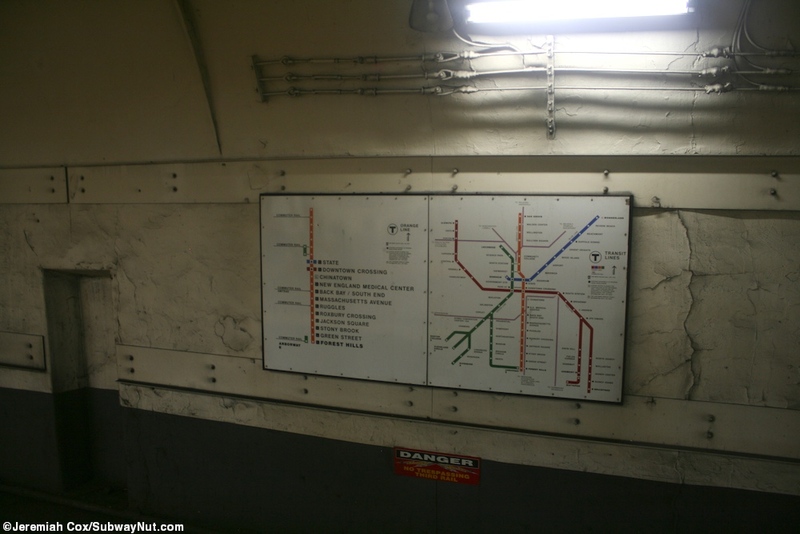 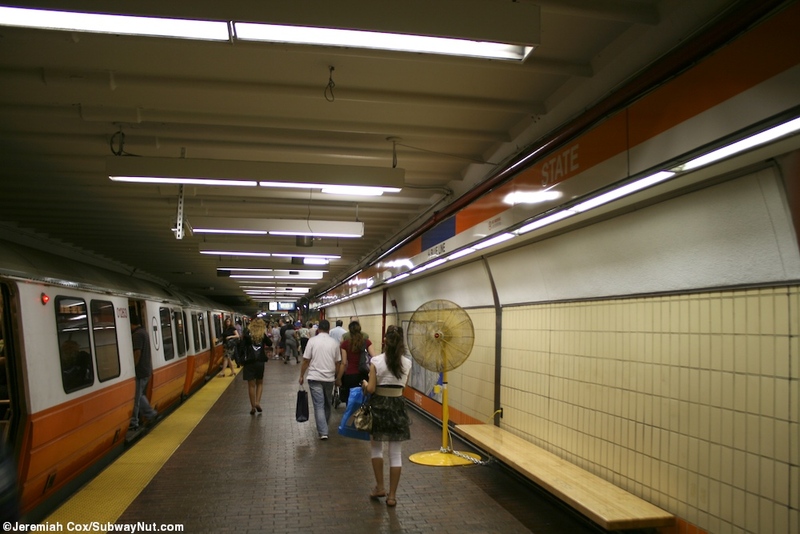 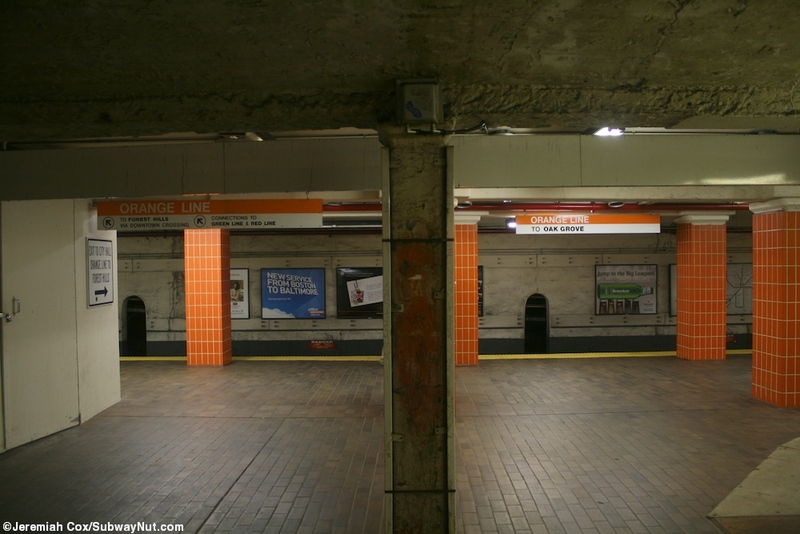 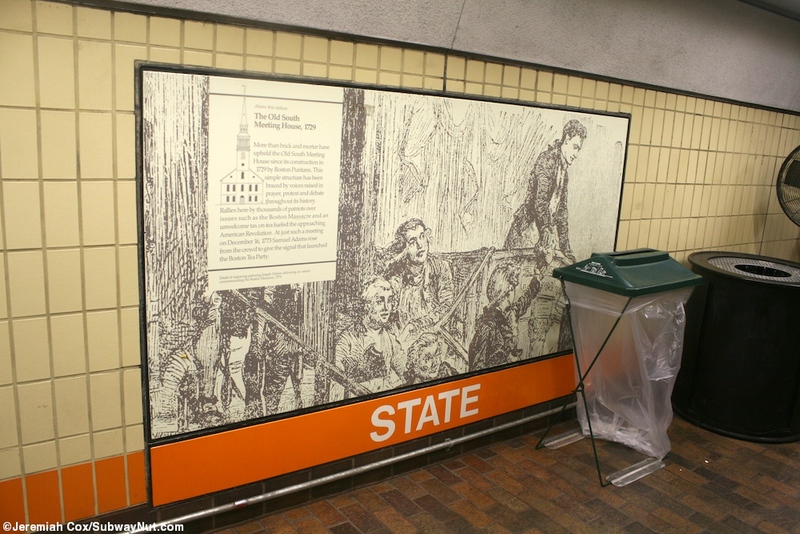 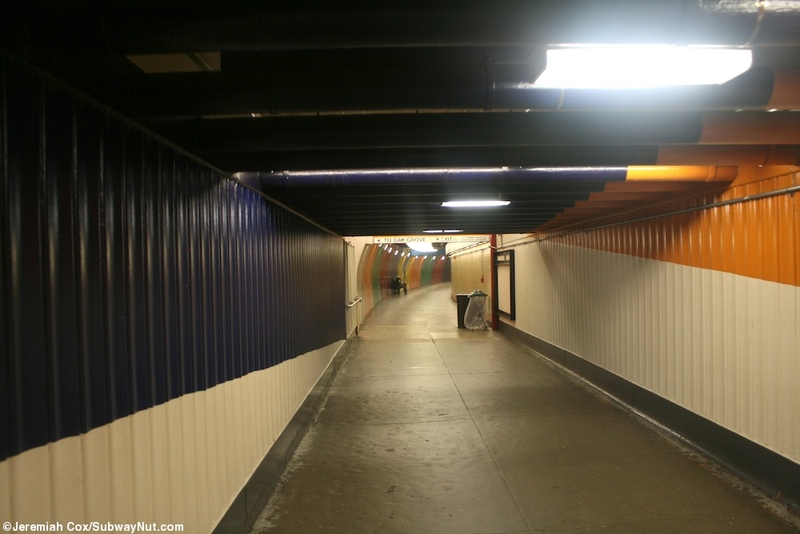 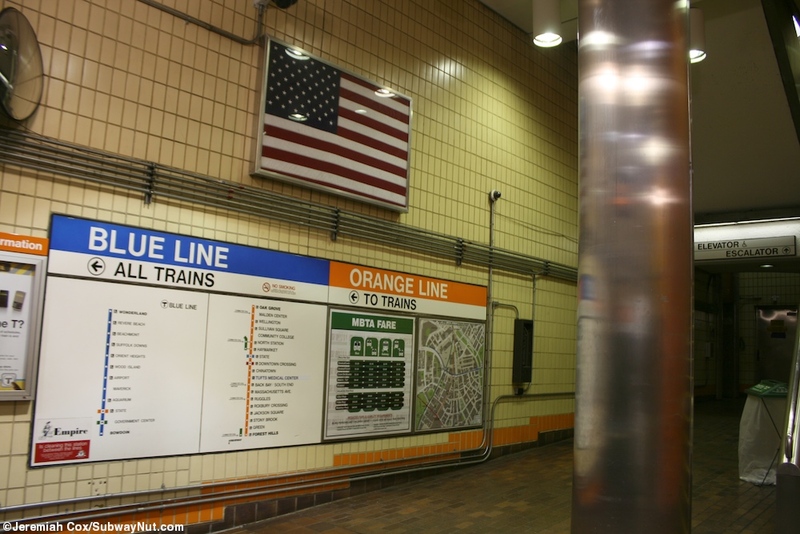 The Orange Line Platforms at State get Boston's most convoluted station award. 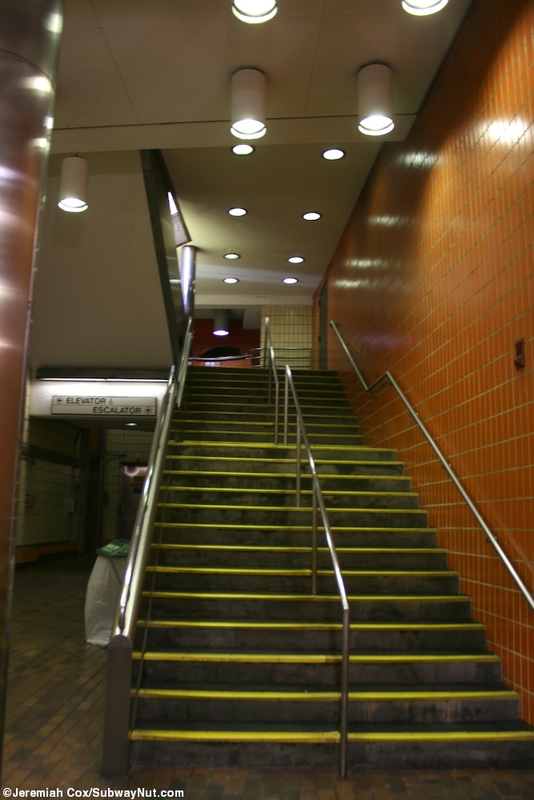 The station's two tracks are stacked and separated and the platforms are offset from each other with the Forest Hills-bound platform south of the Oak Grove-bound one. 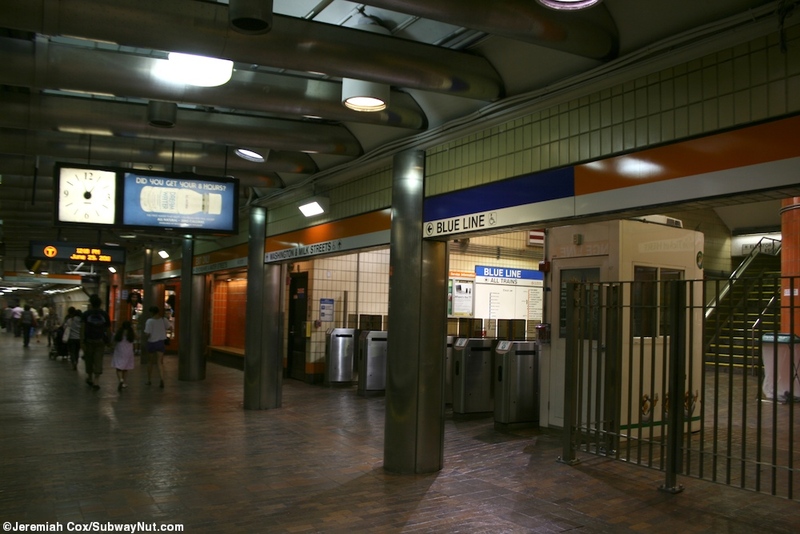 This also makes it a very long transfer from the Forest Hills-bound side to the Blue Line but very short from the Oak Grove-bound side. 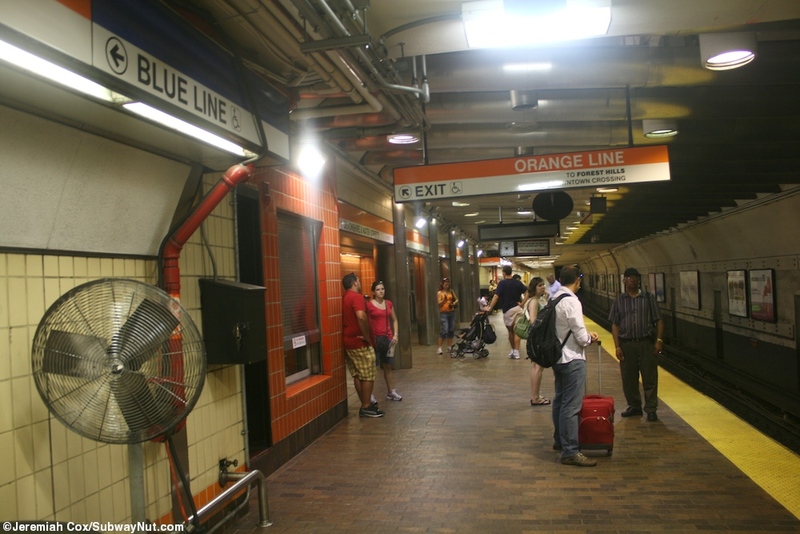 The platforms are connected by a long ramp decorated in colorful colors that connects to a staircase the Oak Grove-bound platform and the Blue Line. 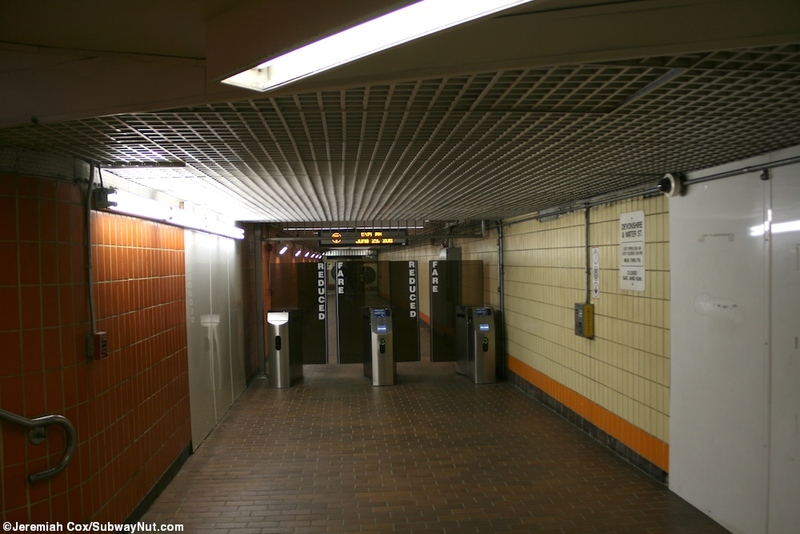 The Forest Hills-bound platform has two entrances to call its own, one in the middle of the platform up to Washington Street just south of Milk Street has fare gates directly on the platform and an elevator. 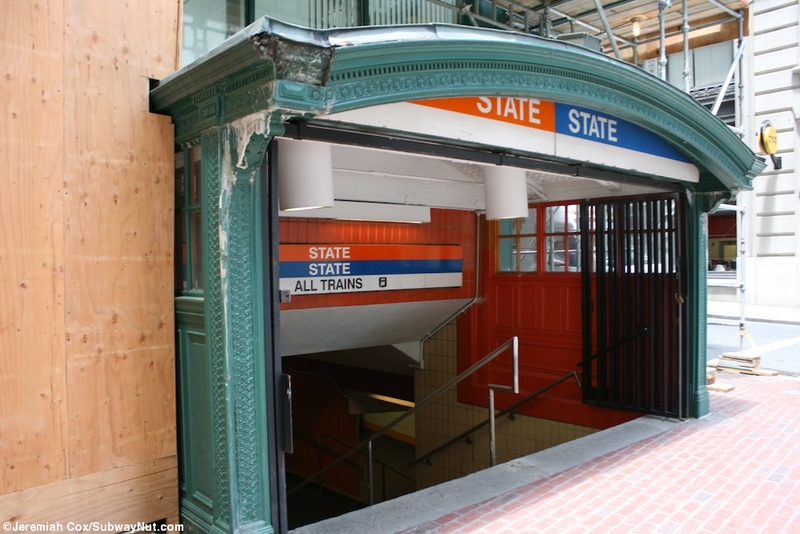 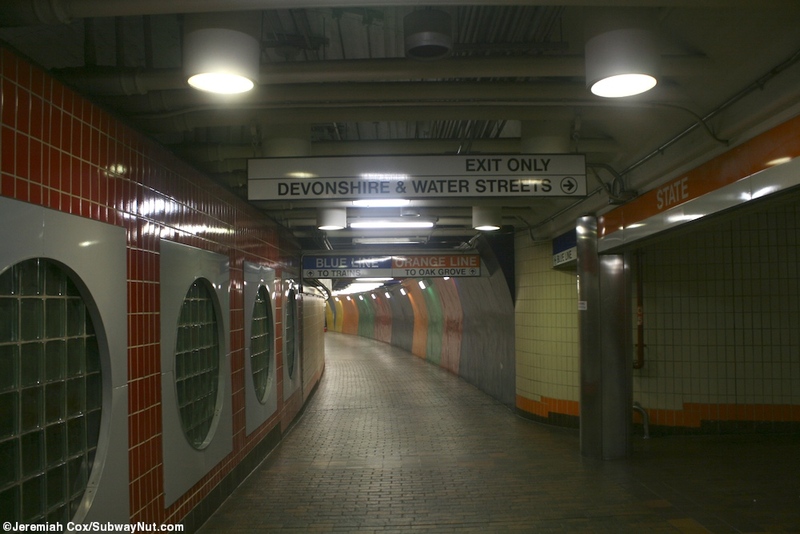 There is a second right before the passageway to the Oak Grove-bound platform and blue line open weekdays only where a staircase at street level on the SW corner Devonshire and Water Streets with an old fashioned ornate design. 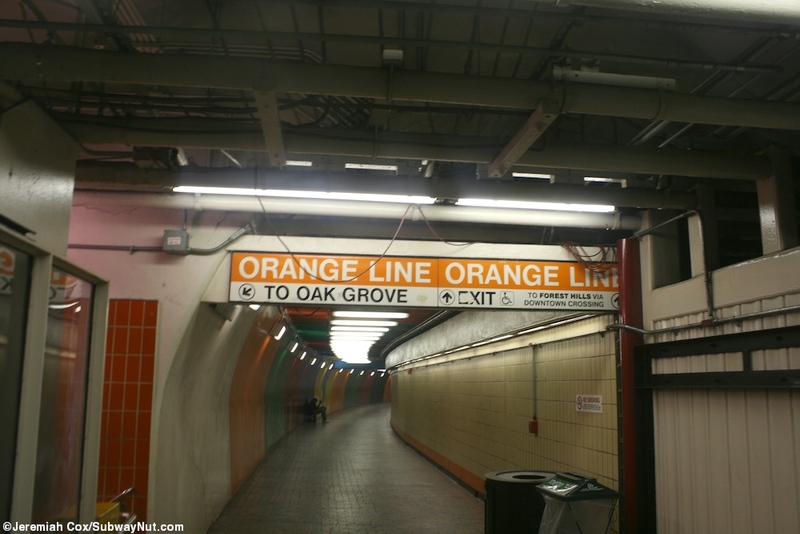 The Oak Grove platform's main entrance is up to the same one as the Blue Line within the State house or via the long passageways to the Forest Hills-bound platform.